Waist cinchers are short corsets, usually cut high over the hip and in some cases stop a couple inches below the underbust line. I usually measure cinchers by the height of the side seam – if it’s 8″ or less on the side, it may fall into the “cincher” range, and most cinchers are 6-7″ high (although I have seen cinchers or ‘waspies’ as short as 4″ on the side!). Those with shorter waists (or who are short of stature) may wear a cincher and have it fit like a full-length corset, so petite women can save money on waist training by purchasing a made-to-measure cincher so it fits her body perfectly. A cincher can also accentuate outfits as a wide belt on those with longer waists. There is one caveat though; many companies don’t make cinchers in larger sizes as they don’t provide any support for soft and low-hanging tummies. The following corsetieres and businesses deliver curves in a teeny package. Timeless Trends black cashmere hourglass cincher, $89. 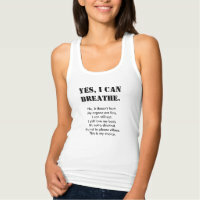 Other colors and styles available! New in 2015 is Timeless Trends’ Hourglass Silhouette corsets, including the curvier waist cincher (8.25″ at the center front, and 6.5 inches at the side seam)! Made with 6 panels, 20 bones, and a lifetime manufacturing guarantee, these corsets are not only almost indestructible but they are now curvier to boot! Priced from $89 (premium fabrics are $99), these corsets are now offered in sizes 18″ – 42″ in certain styles. I’m extremely proud to have personally worked with Timeless Trends on the redesign of these corsets, and you can find them in my corset shop here. Brittney models the CS-201 mesh waspie. Photo: Orchard Corset. Orchard Corset has taken the OTR corset industry by storm due to their curviness and affordability. Their CS-201 waspie has a front length of 9.5″ and a size length of 7.25″ and is offered in sizes 18″ up to 40″ in some styles. 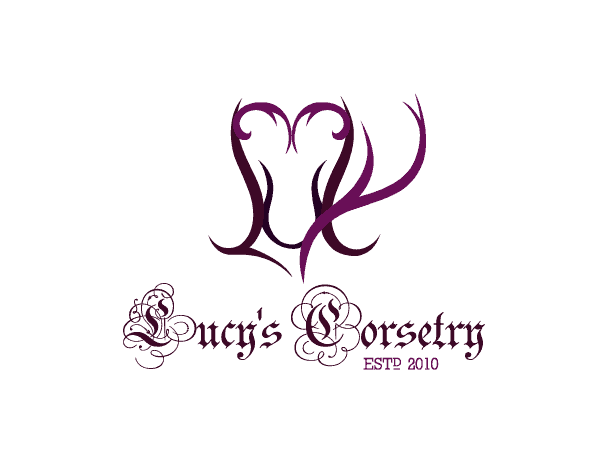 Be sure to use the code CORSETLUCY to save 10% off any purchase for an even better deal. Isabella Corsetry offers incredibly curvy ready-to-wear cinchers made in the USA. She offers novelty prints, like the Octopus Classic Cincher above, or more conventional designs like floral and pinstripe in sizes up to 36″ (for waists up to 41″). Isabella holds constant sales where you can sometimes catch cinchers for as low as $135. Aranea Black is a one-woman corset company in Croatia whose creations are underrated. She offers standard sized waspies for only $90, and this curvy made-to-measure waspie/ cincher for only $200 on Etsy, made with closed front and your choice of coutil, spot broche or floral broche. SnowBlack Corsets is another underrated corsetiere, although Marta’s designs have been featured many times in Polish alt fashion magazines. She offers custom-fit cinchers with a maximum side length of 18cm (7″), finished in raw silk for only $170. Morgana Femme Couture makes a beautiful and simple made-to-order silk dupion cincher for £95 (about $185). It’s only 6″ on the side seam and is offered in 19 different colours of silk. The only caveat is that they’re only offered in sizes 18-24 (they recommend up to 28″ waist). Meschantes Corsetry offers two shorter-style corsets, both ready-to-wear: the Mischief corset (shown above) or the Etoile corset which is more pointed. They also have a closed-front brital Etoile cincher for as low as $99. Madame Sher offers this breezy mesh cincher for a cool $130. This custom-fit cincher is perfect for summer days and hot climates, and with a side seam of a bit over 8″, it should fit most body types. As Madame Sher’s corsets are made-to-measure, the range of sizes is unknown. Heavenly Corsets‘ newest addition is the Bébé corset, which is less than 7″ high. For £120 (about $190) it is made-to-measure, and Elle guarantees that it will hold up to even 23/7 tightlacing/ waist training. Elle recommends a maximum natural waist of 32″ for this corset. Where would we be without WKD? I wouldn’t feel right not mentioning What Katie Did‘s Baby corset, even though it’s a little over the $200 budget. At only 7″ high and boasting at least 10″ hip spring, this is the curviest of OTR cinchers (it’s patterned from their famous Morticia underbust!). It’s made from size 18″ up to size 34″ (may fit natural waists up to ~40″). *Please note that I have not personally tried every corset brand in this list, nor do I necessarily endorse every company in these guided galleries. This is for informational purposes only; please email any of the above makers to learn more about their cinchers and waspies. Tiddly links are Etsy affiliate links, which help the galleries remain free for everyone. I have been searching for something like the waspie that you show from Arena Black on this page. Instead of stealthing, I’d like to hide a cincher in plain sight. Any other sources for something similar? I can’t find them! Hi Brenda, if you click on any of the photos on this page, it will redirect you to that maker’s website / Etsy shop and you will be able to see if they have anything available! If they don’t have it in stock, some of the makers here will also custom make it to your specifications when you order. Hi Lucy, I was wondering if you could suggest a waspie for me? I was going to prder a custom one from Meschantes but have not gotten a reply to question about corset dimensions. I have 2 corsets. An orchard corset 301 which is perfect on my short frame on the sides and back. It is very easy to stealth with. Only problem is I need more coverage in the front to cover stomach bulge. I also have an orchard corset standard 411. It takes care of any bulge and I can wear it comfortably but it’s just a bit too long and creates a weird shape where my backside meets the bottom of the corset. All the waspie I’ve found seem to have much longer backs than the 301. Do you know of a corset that is around 6.5 in at the side, 7 or 8 in in the back and 9 or 10 in in the front? Thank you so much for your amazing help and blog! Hi Cassandra, that’s great to know! :) Thanks for the update! Hi Sophia, there are quite a few corset makers in the LA area! I’m not supposed to play favorites, but I have quite a few corsets from Puimond and I’ve found him great to work with. You can check out all the available makers in the Corsetiere Map. Happy new year! Hi Lester, I had originally considered Axfords for this gallery, but the silhouette was not particularly curvy (there were only a couple of inches difference between the waist and the ribs/hips) – the gallery would have been much larger if I encompassed all cinchers and waspies that were under $200 regardless of silhouette (it would be expanded to include Timeless Trends’ original silhouette cinchers instead of their hourglass, Leatherotics waspie etc) but I wanted to focus primarily on the curvy ones. Thanks! By the way, Lucy, I have a really pretty tiny PVC cincher (only 4″ at the side seams) from your home country, Canada! It was made by Artifice Clothing (they call it “Angled Corset Belt”) and cost only $55. But it looks terrific. They come in standard sizes, but can be slightly customized by a couple of inches free of charge (the smallest size is 19″, I asked to reduce the waist to 18″ to make it curvier and they did it). These cinchers are not for training of course, they do not have a waist tape – but I added the waist tape mysef to prevent it from stretching, and it is holding up just fine. Hi Lucy! I have a really short torso which is only about 9 inches, do you think it would be fine to use Orchards CS-201 in cotton for daily waist training? Hi Aerith, I haven’t tried the 201 in cotton, only in mesh. I imagine that the cotton version would be stronger and more effective in shaping compared to the mesh version. I’d recommend contacting Orchard directly with your waist training question though, as they will be able to back up whatever they say with a guarantee. “It has 16 flat and spiral single steel bones would it still be a good quality to start with? or should I opt for double steel boned corsets? Just noticed that the picture for the Pop Antique corset is missing. This could be because she recently (within the last week) updated her website so the image probably lives somewhere else now. Thank you so much for mentioning Snow Black corsets- her stuff is gorgeous and very accessibly priced for custom. In fact, I’ve finally decided that that’s who I’m going to get my first ~special~ piece from (as opposed to my OTR) and I would never have heard of her if it weren’t for your site, so yay! If it’s ok with you I thought I’d email you with some pics and a quick summary of my general impressions when I receive my order- I find it’s always nice to hear about people’s personal experiences, and I figure you might find it handy if others ask about Snow Black and what her work is like if you don’t have any of her pieces yourself (either that or I can link you to things through tumblr or facebook). I hope that doesn’t come across as too spammy or anything haha.